About: The Arbutus unedo (Strawberry Tree) is ubiquitous in Spain and functions as a bee plant for honey production, and dessert for birds who feast upon its fleshy red fruit. 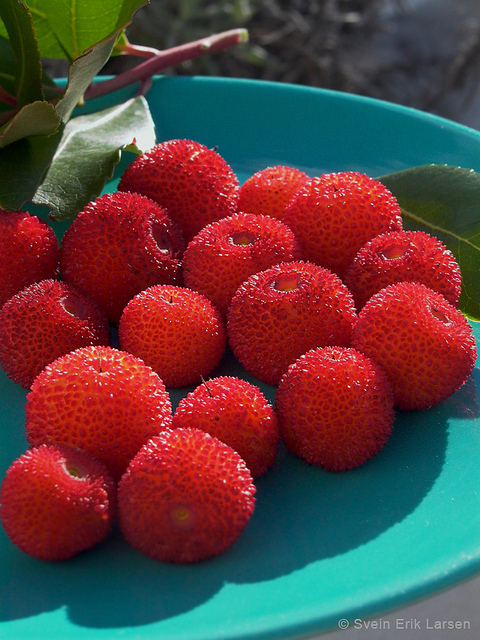 The strawberries are also used to make jellies, jams, cold beverages and liqueurs (such as the Portuguese medronho, a type of strong brandy). Although the photo was taken in Malaga, it’s commonly seen in every corner of Madrid as it’s featured on its coat of arms.